Description: Probate records are a great way to trace property, reconstruct families, and link generations. Learn about the principal kinds of probate records, the information you can find in them, where to locate them, and how to work with them. The webinar will show how you can use the online probate collections at Ancestry.com and FamilySearch.org to solve genealogical problems. Presenter: Lois Abromitis Mackin, Ph.D., is a professional genealogist focusing on American and English research. 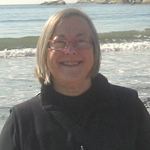 Lois has bachelor’s, master’s, and doctoral degrees in history, and has studied at major genealogical institutes. She writes for Minnesota Genealogist and The Septs, and teaches about genealogical records and methods. Registering does not guarantee entrance to the webinar, in which space may be limited. Arrive early. A recording of this webinar will be posted on the MnGS website, for members only. Visit the Minnesota Genealogical Society on the web at www.mngs.org.